Washington DC Region to get Electric Focus. Ford is gearing up to launch the 2012 Ford Focus EV, and the automaker has selected 19 target markets for its first-ever all-electric passenger car. A press release can only reveal so much emotion, but we would like to believe the copywriters had a Howard Dean-like moment as they rattled off the markets that include 14 states and Washington, D.C.
Ford is working with local government agencies and utilities in the selected markets to help prepare for the launch of the EVs. Its efforts are focused on consumer outreach, education programs and providing information on charging needs. Ford also wants to make sure the local power grid will be able to support the increased demand caused by the vehicles. 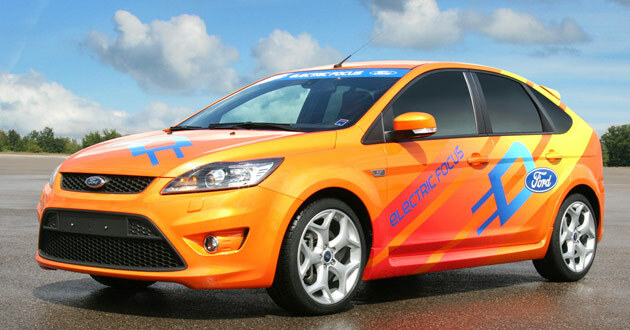 The Focus Electric, which will reportedly have a 100-mile driving range, will go on sale towards the end of 2011. It will be produced on the same assembly line as the traditional Focus, allowing Ford to alter production based on demand. Click through to the jump to see if your state is on Ford’s initial markets list.